CASS Custom Architectural Sheetmetal Specialists, Inc.
On Time, Under Budget and Top Quality Workmanship... CASS Delivers! Elijah Myers can now rest easy in his grave. As the architect of the Michigan Capitol building in Lansing, he envisioned a roof of gleaming copper for this new seat of government rising near the banks of the Grand River in 1872. With copper sky-high at .25 cents a pound in the 1870s, the contract required the builders, Nehemiah Osburn & Company, to install a less expensive Welsh tin roof. “The tin roof started leaking practically the moment the building was finished in late 1878,” said Kerry Chartkoff, retired Capitol historian and director of tour services. Fast forward 117 years, and according to The Christman Company’s Senior Vice President Ron Staley, FAPT, a built-up coal tar pitch roof, as well as multiple roof layers measuring 8 to 10 inches in some areas, was removed and the copper roof of Myers’ original vision was installed. Unfortunately, history has a way of repeating itself. Much of the roof suffered chronic problems for the next 20 years. Enter CASS Sheet Metal, Detroit, and its subcontractor Bloom Roofing Systems, Inc., Brighton. 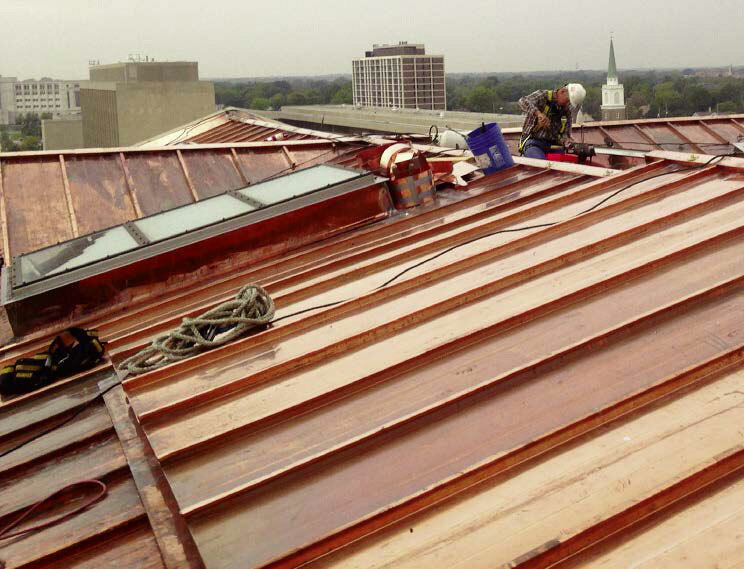 Under the recommendation of The Christman Company, Lansing, CASS walked the rooftop of this national historic landmark, analyzing every roof drain, flashing, and the entire copper batten seam roof, as well as the EPDM-covered valleys. Twenty years the wiser in the ways of the Capitol roof, the new roofing team called for a combination copper double-lock batten seam roof and heavy-gauge rubber roof. Clearly, the Capitol roof is in able hands. CASS, Quinn Evans and Christman are three firms with a passion for historic preservation. Staley, himself, established Christman’s Historic Preservation Group and its Washington, D.C. office over 10 years ago. Quinn Evans – a nationally recognized “thought leader” in preservation architecture and planning with four offices nationwide – was one of three architects on the Capitol’s 1992 restoration. Both Christman and Quinn Evans have provided professional services for various Capitol maintenance projects over the last 20 years. For both the 2007 and 2013 Capitol projects, Christman held the design and construction contract with the State of Michigan, with Quinn Evans acting as Christman’s design partner for review purposes, said Staley. For the roofing portion, “Quinn Evans provided technical support in the contract administration phase,” said Quinn Evans Principal and Director of Preservation Ilene Tyler, FAIA, FAPT, LEED AP. Tyler provides nationally recognized technical expertise based on over 30 years’ experience on a wide range of preservation projects. 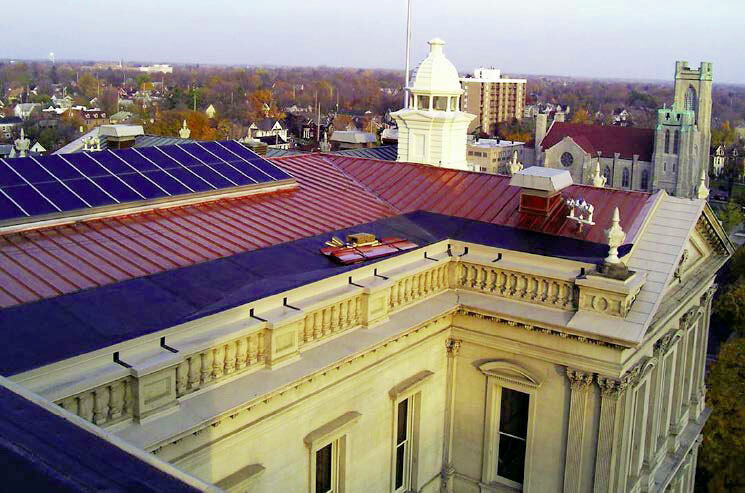 The sun’s glow brightens the copper rooftop of michigan’s Capitol. The overall roofing plan called for installation of a new copper batten seam double lock system installed up to the ridge and a 90 mil, fully adhered Firestone epDm roof on primed Dens deck in the valleys. 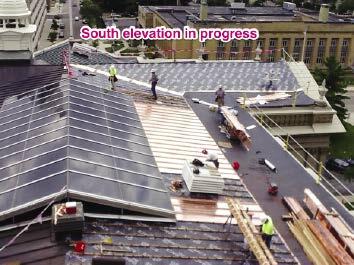 The craftsmen of CASS Sheet metal are busy at what they do best: paying meticulous attention to every roofing detail, a work ethic of special importance when working on a national historic landmark that serves as michigan’s official seat of government. CASS’s services were first enlisted in June 2001, but funding dried up in the wake of 9/11. 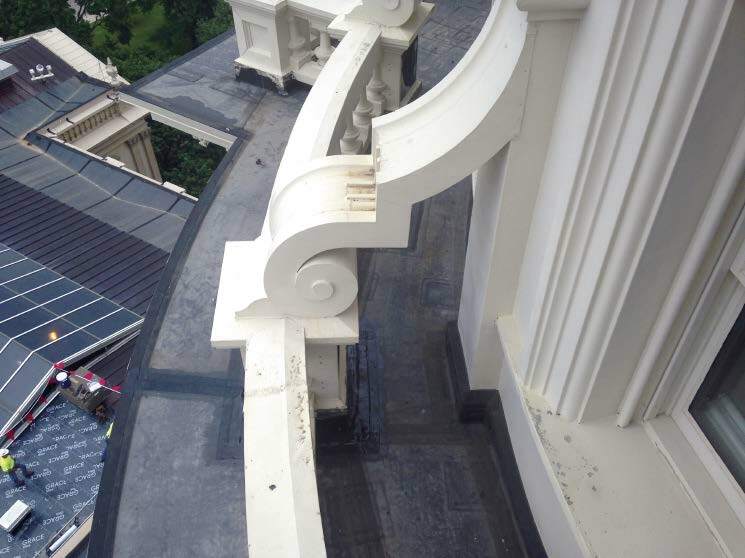 In 2006, extra funding from an entryway restoration provided the financial resources for a Capitol roof assessment. 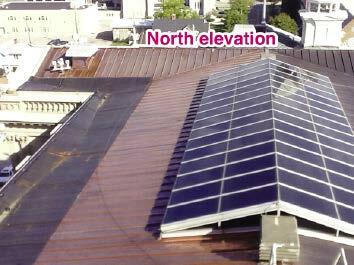 A brief overview of the Capitol’s roof terrain explains part of the new approach. Four roofs stretch in the four cardinal directions from the Capitol’s stately, central dome. Low-lying roof valleys dip behind the parapet wall before rising on a gentle slope to a central ridge. 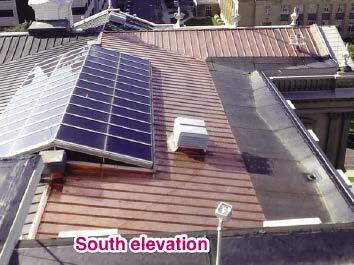 Peaked skylights dominate the north and south ridges and a dense concentration of mechanical equipment dots the east roof. As part of the new test plan, CASS Sheet Metal religiously followed the recommendations of the two principal technical manuals in the historical architectural sheet metal and copper trade – SMACNA Architectural Sheet Metal Manual and a manufacturer’s publication called Revere’s Copper and Common Sense. These trusted sources recommend the application of a traditional doublelock batten cap system on low-slope roofs. With only a 3:12 pitch, the Capitol roof is considered to be gently sloping. The roof, however, had a snapon batten versus the recommended double-lock batten seam roof that was actually the original roof detail, according to Parvin. In 2007, CASS installed a small, 2,000-squarefoot mockup area to test the double-lock theory and other approaches. “A plan was developed to do an open book, time and material, designbuild, tear-off and reroof of a small section of roof area,” said Parvin. “It met with the architect’s approval and matched the on-center spacing of the existing snap-on batten cap panels.” The mockup met with great success. According to White, beginning in summer 2007, CASS then re-roofed almost the entire eastern half of the Capitol roof, including the northeast section over the House chamber, the southeast section over the Senate chamber, and the executive offices, committee and meeting rooms in the middle. to the more appropriate SMACNA standards and Revere’s Copper and Common Sense. of roofing contractors and Bloom happens to be one of the better ones,” said Parvin. “I have walked a lot of roofs and worked on a lot of projects with them, and I have always been very impressed with their quality and their approach.” As an added bonus, Bloom is located very close to Lansing. 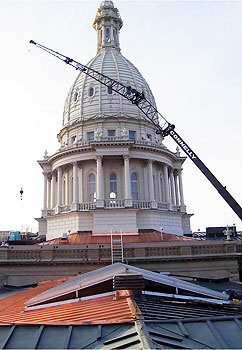 Roof renovation of the michigan Capitol included work not only on the gently sloping main roof, but also on the flat roofs adorning the drum of this elegant dome. THE TEAM : Given the great success of the 2007 project, CASS used the same crew to steer the project. CASS’s Terry Fischer led the effort supported by Bloom’s foreman Dan Scott. 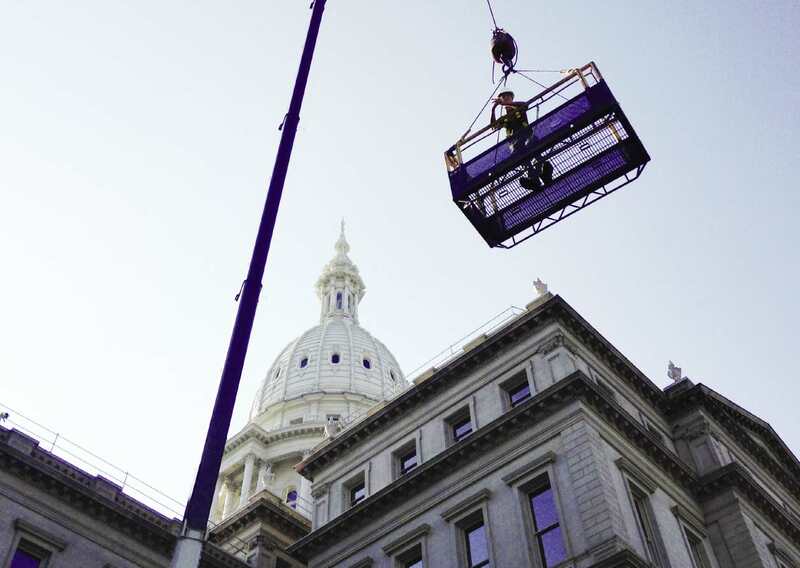 “They took a great deal of pride, as we all did, in ‘making it right’ for the state Capitol roof,” said Parvin. The team also included Chad Clark, Christman project manager; Jeff Sanders, CASS journeyman sheet metal craftsman; and Kyle Menard, Bloom project manager. Blending the CASS and Bloom crews boosted production. “CASS and Bloom worked together to tear off the copper and single ply,” said Parvin. Each attended to their specialty work – one working in copper and the other in rubber – but both shared use of the crane and took advantage of other efficiencies. “Using a multiple crew plan that CASS and Bloom put into place made the best use of the 90-ton crane and its 220-foot boom supplied by Connelly Crane Corp.,” said Parvin. Christman was even able to use the crane to hoist new carpet rolls for the House and Senate chambers through the windows as a replacement for the 20-year-old carpeting, added Staley. Each roof section had widely varying conditions, ranging from peaked skylights to a dense concentration of exposed ductwork and rooftop mechanical units. Despite this variability, CASS was able to beat the established budgets, successfully delivering a high-quality project at a significant cost savings. Inherently, the choice of a rubber roofing system in the valleys in lieu of copper gave the State a bigger bang for their buck. For the copper, CASS was able to rein in costs by employing a pan former recently used on the Cranbrook Kingswood Campus re-roofing project designed by Quinn Evans. “We own the pan former that creates that particular profile of batten cap,” said Parvin. “We were fortunate that the profile happened to be the same on-center spacing. Historically, it met the architect’s approval and matched the snap-on batten cap.” Post 2007, the forces of history once again caught up with the Capitol roof during the Great Recession in 2008. Funding disappeared, leaving the roof only half-repaired. By 2013, the economy was slowly thawing from the deep spending freeze. “It wasn’t until last year that we got a chunk of change that allowed us to complete the roof on the west side of the House chamber, the Senate chamber and the fourth floor on the west side of the Capitol,” said White. In 2013, the gears of CASS’s well-oiled roofing “machine” were once again set in motion. Already well-acquainted with the Capitol roof, CASS swiftly re-assembled the budget, the metal and the team to tackle phase two work between June to Sept. 25, 2013. As part of this strong team ethic, having CASS at the table with Christman and the Owner also aided in delivering the project under budget. CASS was even called upon to expand their scope. “After the first cost review, we were asked to commit to another roof section, which was a tall order,” said Parvin. CASS and Bloom still completed the job on time, despite installing extra work items under a time and materials contract. The work of CASS Sheet metal and Bloom Roofing Systems is displayed in all its glory in this multi-directional panorama of copper and heavy-gauge rubber roofing. CASS and Bloom even made the decorative columns water-tight. Parvin explains: “For proper EPDM roofing, it is far easier to wrap a circular object than a 2×4 or angle iron, for example. We created new round structural supports for the columns out of pipe framing that was wrapped on the inside of the columns.” CASS even cut access doors at the base of the columns, allowing Bloom “to fish their hands in to install and then wrap the support on the inside of the columns,” added Parvin. “We then basically re-clad these access holes, which will be in place for future maintenance, as well. There is now a post in each one of these columns that is field-wrapped and flashed per NRCA and Firestone recommendations for a pipe support.” A similar procedure was used on a series of decorative urns on this amazingly detailed rooftop. Riding in a crane basket, Parvin and his team inspected the eyebrow of the third tier. As a team player, Parvin recommended postponement of the third tier repair. “It was my recommendation to do the third level when they paint the dome, since the third level is not leaking and since it would require an incredible investment in scaffolding,” said Parvin. “Using a man basket to flash this ledge would be very slow and tedious and would require the expense of multiple crane setups. I said, ‘Listen, I am not trying to turn work away, but it would be better to wait until the dome is re-painted.” Fortunately, Tyler concurred, and the Capitol hopes to repaint the dome possibly in 2015, said White. From the purely beautiful to the strictly mechanical, every system and square foot of this 30,000-square-foot roof was scrutinized and revamped. CASS accessed, installed and tiedin 30 new roof drains. Thanks to CASS, each quadrant of the roof now has a new roof hatch for better access to the labyrinth of ductwork and mechanical equipment sequestered in the cramped spaces of the Capitol’s attic. CASS cut these new hatches through layers of concrete and terra cotta, properly positioning and flashing each one. On time, under budget and high quality; what more could an Owner want? The answer: Safety and a clean jobsite. CASS delivered in both instances on this high-visibility public project. “Having tradespeople on the job that were sensitive to working on such a high-profile type of project is absolutely paramount,” said Staley. White also commends CASS for its attention to cleanliness. “Because we had re-carpeted the fourth floor, they accessed the roof from the third floor elevator,” said White. “They were very conscientious. They didn’t track roofing materials or anything else into the building, especially in the newly carpeted fourth floor where construction materials could damage the carpet beyond repair. They kept the noise down, and if any material had a smell they would apply it early in the morning or very late in the afternoon.” In 2013, history happily repeated itself. 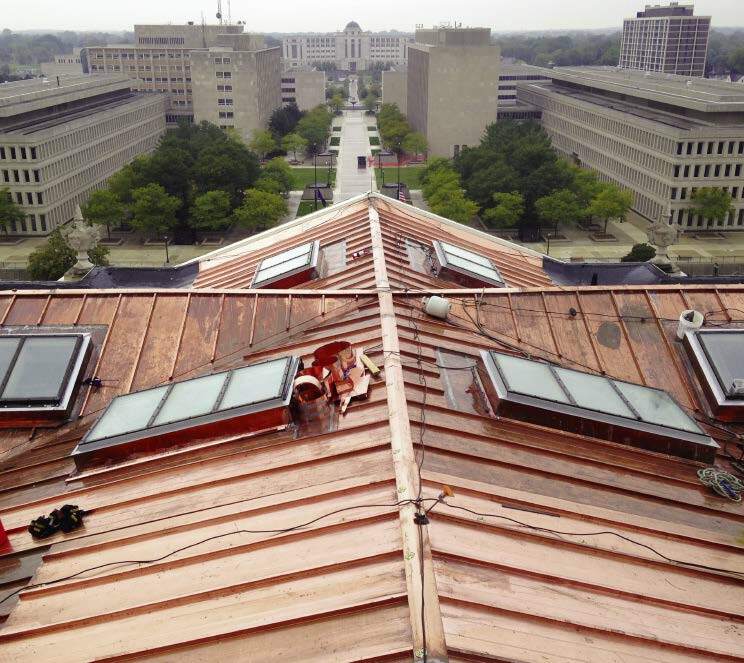 The Capitol roof now enjoys the driest roofing system in decades, thanks to CASS Sheet Metal, Bloom Roofing Systems, The Christman Company and Quinn Evans Architects. 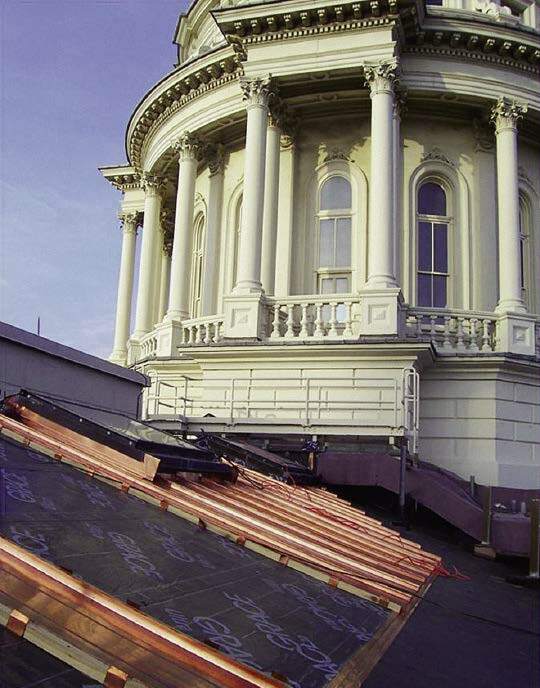 In replacing and installing the Capitol’s copper roof, CASS Sheet Metal followed the recommendations of the well-regarded technical manuals: the SMACNA Architectural Sheet Metal Manual and a manufacturer’s publication called Revere’s Copper and Common Sense. 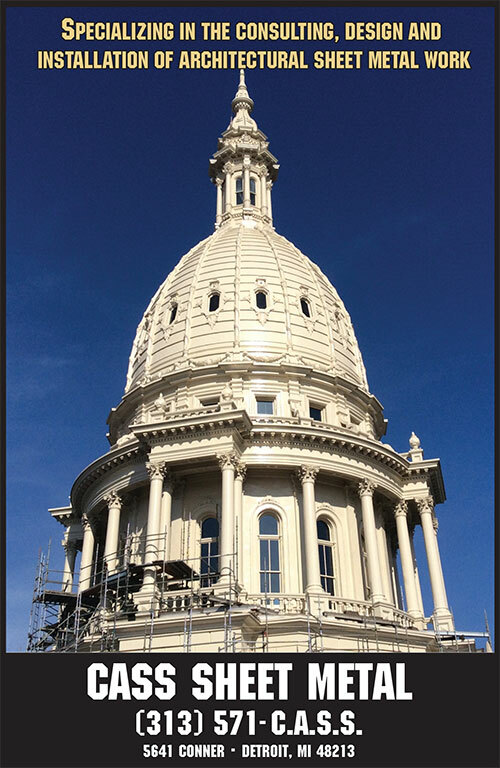 Elegance restored: CASS and Bloom replaced the lead pan roofs on two flat levels of the Capitol dome’s drum with a 90 mil Firestone epDm fully adhered rubber roofing system with 90 mil flashings. CASS Sheet Metal’s first historical restoration was work on the steeple shroud at Saint Anne’s Church in Detroit. The firm’s other historical restoration projects include work on the Henry Ford Estate, Cranbrook Kingswood’s copper roof, Cranbrook Observatory replacement, Wayne State’s Bonstelle Theater, Perry’s Victory Monument in Put-in-Bay, Ohio, the GAR Building, The Seminary in Detroit, and many historic churches, such as St. Mary’s Church in Greektown. CASS has also been recognized nationally and invited to participate in other high-end, exclusive contractor bid lists for projects such as the Kansas State House and the Colorado State Capitol. CASS has either been invited to bid or act as a design consultant on several state buildings. Lansing was chosen as the state capital in 1847 at a time when Lansing didn’t even exist as a named town. The area was a wilderness settlement surrounded by a wild halo of dense forest. The state Legislature chose this remote outpost because of its central location and because of the rancor against Detroit as it tried to retain its position as the state capital. Faced with a constitutional deadline to select a capital, the legislators chose a neutral place without a road, train or canal where no one could benefit, said Chartkoff. In 1872, the stately Capitol and its grand dome rose out of the little town of Lansing, populated mainly with single-story wood buildings subject to flooding every spring by the Grand River. Once built, “Detroit legislators were highly indignant about having to come to this Capitol in the middle of the woods where they would possibly be chewed alive by wolves and mosquitoes,” said Chartkoff quoting the actual reaction of some legislators. Once built and much embraced, Chartkoff recreates the 19th Century attitude toward the Capitol building and its new dome. “There is an old feeling in the United States that goes way back to the founding of the country, but it was felt very strongly in the 19th Century,” she said. “The thinking is that we need to improve our frontier population in part through architecture. Specifically, the architecture of Greece and Rome was to have an ennobling effect upon the frontier population. Michigan was the western frontier and to see this elegant building with its columns and dome rising out of this little town was an astonishing sight. It was meant to be inspirational.” Even in the 21st Century, the Capitol dome and its nine interior acres of decorative painting remain beautiful and inspiring, thanks to the work of CASS and the entire restoration and renovation team. CASS Sheetmetal’s diversified team of Metal specialists can tackle the most challenging of Roofing projects. 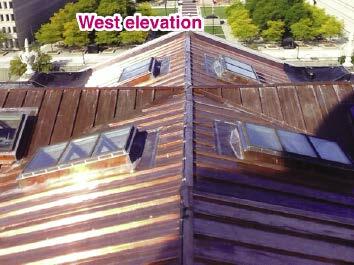 Before & After Reroofing / Restoration of Commercial Building Projects – See what we can do for you! Can One Company Offer So Much? Our Clients Think So! Project Consulting, Design/Build, Installation, Custom Fabrication, Standing Seam Copper Domes & Caps, New Construction Standing Seam Metal Roofing, Foam Wall & Stainless Steel Siding Panels, ZInc Siding, Slate & Tiles, Custom Bay Window & Prefab Canopies, Metal Fascias, Soffits & Mansards, Residential Metal Roofing Systems, Historic Building Roof Restoration and More! © 1998-2019 C.A.S.S. Custom Architectural Sheetmetal Specialists. All rights reserved.